Ductless air conditioners are quite efficient and cost effective. Not maintaining them would shorten their life and affect its functioning. 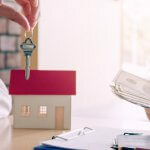 It’s advised that you hire a professional to carry out most of the maintenance work, but there are a few things you can do on your own. 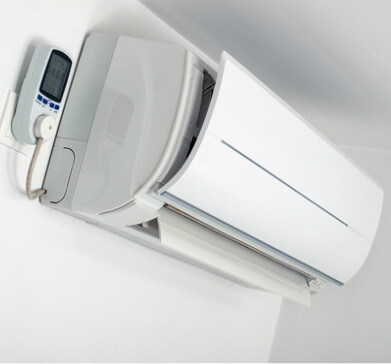 Let’s look at a few maintenance tips that will help in keeping your ductless air conditioners in good condition, and maintain its functionality and efficiency. 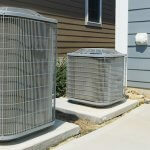 Ensure that your ductless air conditioner is clean from the outside. If dust starts accumulating, they will find a way to the operating units, which will have a direct impact on the functioning and operation of the system. Make it a weekly regime — wipe the exterior with a damp cloth or a safe chemical cleaner. Check whether the outdoor portions of the vents are both dust and debris free so that they don’t get clogged. Even though ductless air conditioner takes up less space, it would be ideal to leave ample distance around the unit to ensure its smooth functioning. Keeping furniture or any kind of shelves close to the unit will encourage the accumulation of dust around the unit. Keep a distance of at least four feet from every direction between the unit and other furniture. 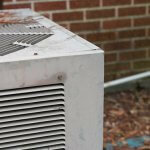 Along with the exterior, you need to clean the interior of the HVAC as well. However, before you start cleaning the interior, make sure you switch off the system completely. The exterior circuit switch and in-home components should be switched off to ensure that you don’t damage any component in the cleaning process or, worse, electrocute yourself. Allow the unit to cool after shutting the unit down and wait for a while before you switch it on too. Unclean filters lead to a decreased efficiency and increased operating costs. You should clean the filters frequently to ensure that your air conditioning unit performs to its maximum potential. Carefully remove the filters and wipe them with a clean, dry cloth to remove the accumulated dust. You have to replace them if they cannot be cleaned properly or are damaged. Clean coils are essential to carry out efficient functioning. Since debris and outdoor dirt can collect on this part, it is important that you keep it clean. Use your regular garden hose to spray the unit and ensure that the fins do not bend. Dust the final debris by hand and make sure that the unit is completely dried before you use the unit. Pipes should be cleaned regularly as dust, dirt and other particulates can get accumulated in them and block the air from entering. This prevents the ductless air conditioners from working efficiently. The pipes and air ducts may develop cracks and leaks, which further affects their functioning. Call professionals once a year and let them take a look at the unit. Even if you missed something critical, the professionals surely won’t. Make sure you opt for a reputed professional and check their reviews before calling them. Follow these tips and you will enjoy a well-maintained ductless air conditioner. The unit will achieve high efficiency and enjoy a long life as well.